Summer weddings are attractive to couples because of the warmer weather, free-spiritedness of the season and it works well for the Vine to get off work. 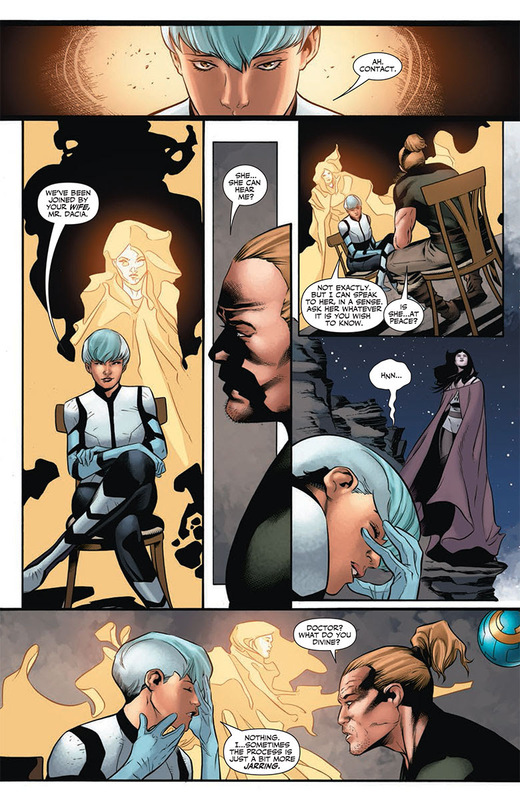 The latter bit might not be as likely, but in X-O Manowar #38, Robert Venditti and Rafa Sandoval team up to host the wedding of Aric of Darcia to Saana of Loam. On July 1, an all-star cast of special guests from across the Valiant Universe will be in attendance for the celebration. Aric of Dacia nearly died in battle against the Armor Hunters, and watched a world end at the hands of the Dead Hand. As a king, he knows that it is his duty to marry and provide his people with an heir to protect them in the generations to come. 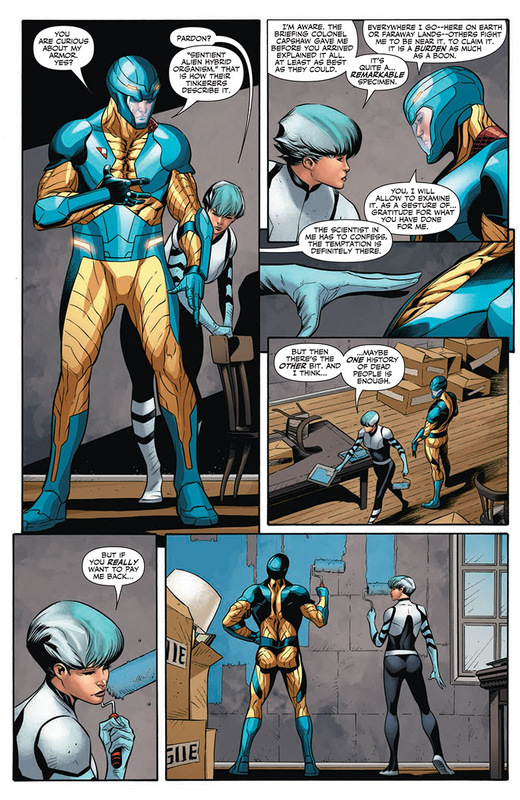 He now makes the next step on his journey… With a guest list of the Valiant Universe’s finest, what could possibly go wrong? One hint: everything! 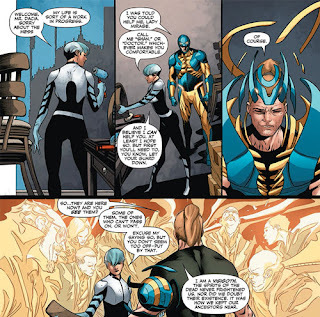 The essential wedding celebration of the summer kicks off with a full-length lead tale from Venditti and Sandoval as Valiant’s alien armored Visigoth takes the next epic step in his evolution as a king and hero! Then, CAFU joins Venditti for a tale of love, warfare and cosmic fate on the outskirts of the Roman Empire as young Aric of Dacia prepares to cross the threshold into adulthood. 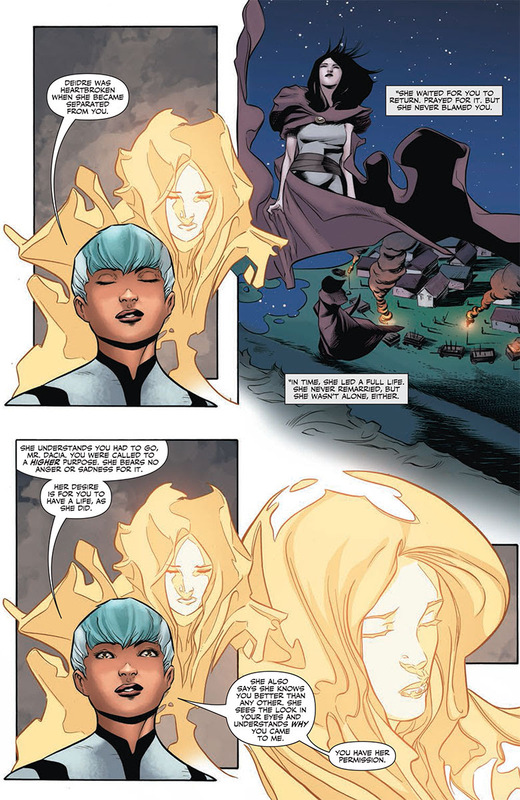 Plus, Amy Chu and Clayton Henry reveal the the future queen of the Visigoth nation in the very first solo tale of Saana of Loam, while Rafer Roberts dares attend…the bachelor party of X-O Manowar. And, last but not least, Andy Runton returns to Valiant for an all-new Owly adventure, guest-starring the X-O Manowar armor. 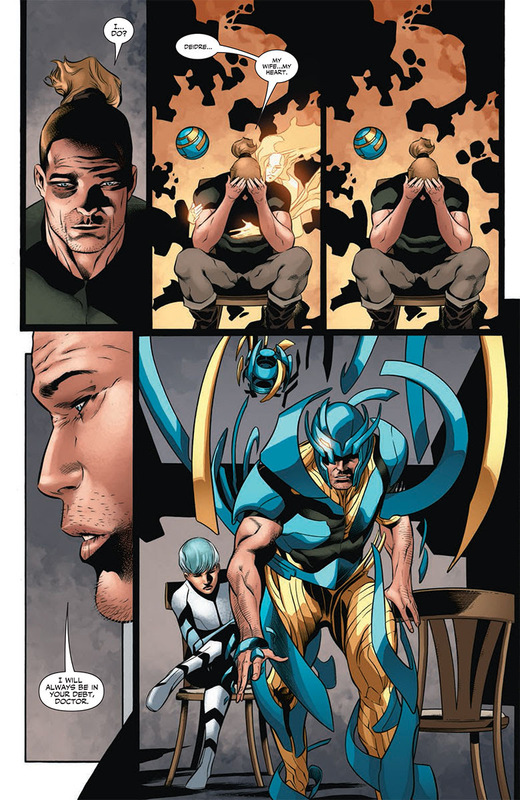 X-O MANOWAR #38 – A 48-Page Spectacular Coming in July! 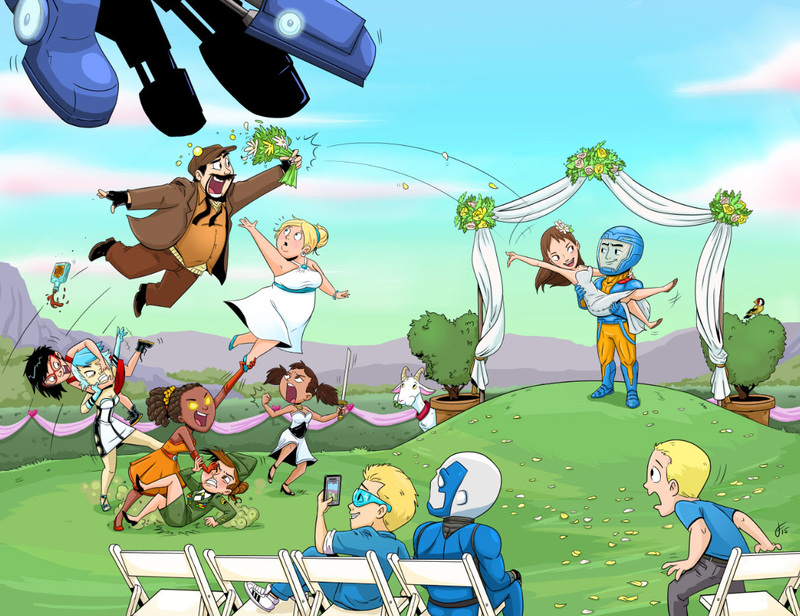 Save the date…because, on July 1st, you're invited to…the wedding of X-O Manowar! 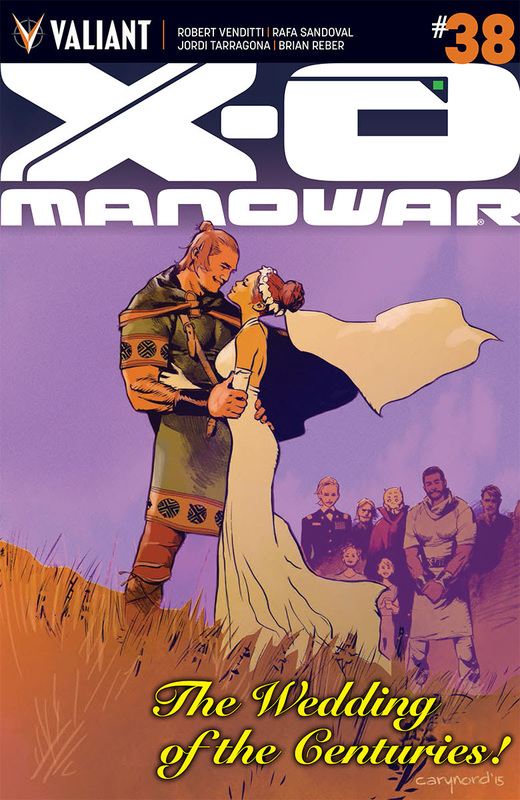 Valiant is proud to present the first look inside X-O MANOWAR #38 – an oversized, 48-page wedding spectacular from New York Times best-selling writer Robert Venditti (BOOK OF DEATH, Green Lantern), red-hot artist Rafa Sandoval (Ultimate Hawkeye) and an all-star cast of special guests from across the Valiant Universe! 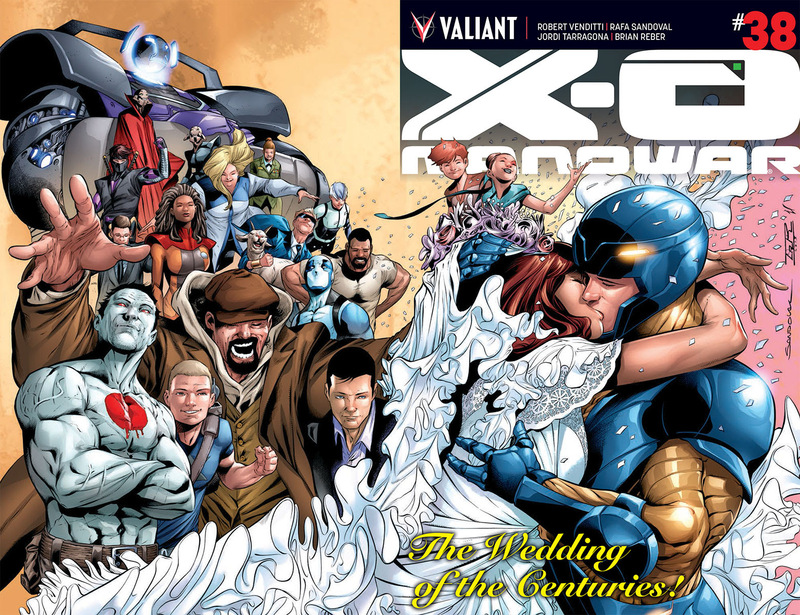 On July 1st, witness the summer's most joyous celebration as Aric of Dacia – aka the unstoppable X-O Manowar – and his bride-to-be, Saana of Loam, begin a joyous new chapter for Valiant's alien-armored powerhouse! The essential wedding celebration of the summer kicks off with a full-length lead tale from Robert Venditti and Rafa Sandoval as Valiant’s alien armored Visigoth takes the next epic step in his evolution as a king and hero! Then, red-hot artist CAFU (UNITY) joins Robert Venditti for a tale of love, warfare, and cosmic fate on the outskirts of the Roman Empire as young Aric of Dacia prepares to cross the threshold into adulthood! 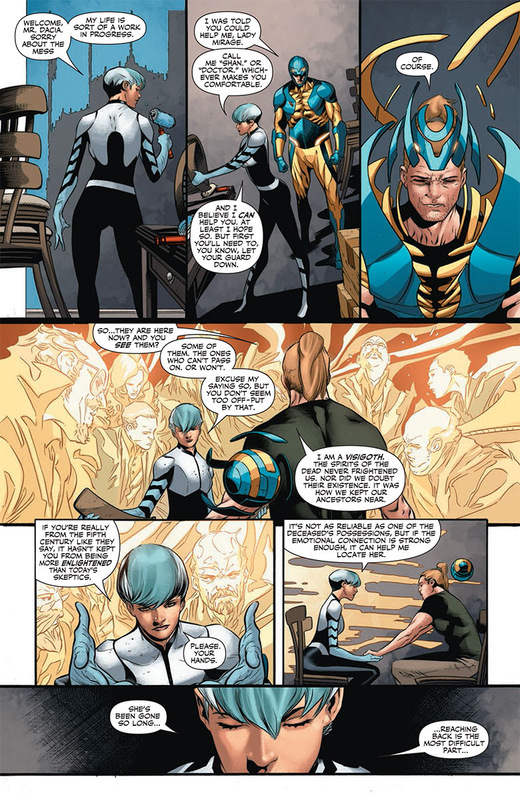 Plus: Valiant newcomer Amy Chu (Vertigo CMYK) and Harvey Award-nominated artist Clayton Henry (IVAR, TIMEWALKER) reveal the the future queen of the Visigoth nation in the very first solo tale of Saana of Loam, while acclaimed writer and artist Rafer Roberts (X-O MANOWAR #25) dares attend…the bachelor party of X-O Manowar! And, last but not least, Eisner Award nominee and fan favorite cartoonist Andy Runton (Owly) returns to Valiant for an all-new Owly adventure, guest-starring the X-O Manowar armor! On July 1st, alien warriors, Visigoth valor, love and war collide as Valiant superstars Robert Venditti (Green Lantern) and Rafa Sandoval (Ultimate Hawkeye) officiate the biggest turning point yet for Valiant's number one hero with a can’t-miss matrimonial melee nearly two millennia in the making! 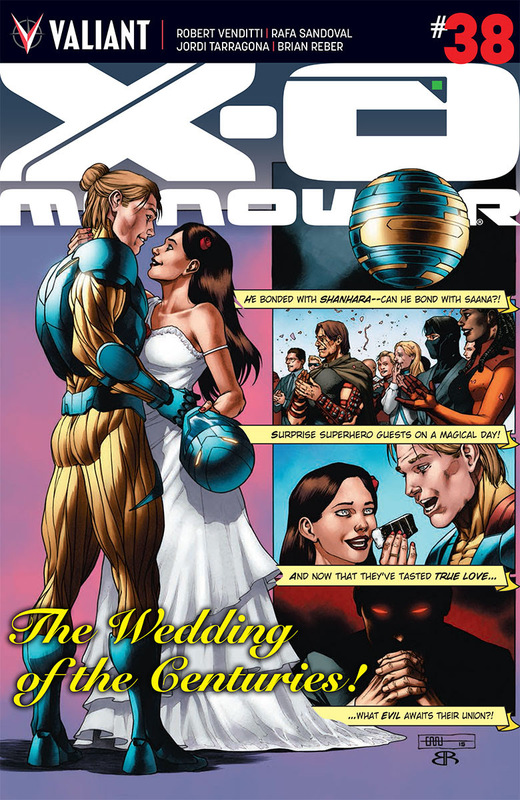 Don't miss the wedding of the one and only X-O Manowar, right here in the oversized X-O MANOWAR #38 spectacular – featuring five fabulous covers by Rafa Sandoval (HARBINGER), Cary Nord (Conan), CAFU (UNITY), Valiant newcomer Jay Fabares, and Tom Fowler (QUANTUM AND WOODY)!